There are many different types of Visigothic script. How to differentiate and name them? In a previous post, I wrote about the different types of Visigothic script that can be distinguished, considering the degree of perfection of the script, its detail or speed when traced, the stage of evolution and the accuracy in keeping its alphabet and abbreviations to the canon. To have these considerations in mind is especially important for palaeographers or historians of written culture since they help us understand and identify the cultural context in which the scribe lived and developed his professional career. Indeed, tagging the script is very useful for building its environment. The types of Visigothic script that can be individualized bearing in mind the speed (aka the main typological variants: cursive and minuscule) have been already explained, but what are the other types? It is difficult to describe the script following this principle because it is a subjective criterion and because it is the one which relies the most on the cultural context in which each scribe can be placed. The first two types are easy to explain: a calligraphic script is one written with care, slowly or not, denoting a scribe who was well-trained, a master; while a rudimentary script is exactly the opposite, a script written by a scribe who was still in training and had not yet mastered the act of writing. Even if they were writing a draft, well-trained scribes produced, in general, good examples of writing, while neophytes, doing their best, made poor examples. © Madrid, Archivo Histórico Nacional, Sección Clero, carp. 1325C, nº 8. Example of a calligraphic hand. © Ainoa Castro Correa. Lugo, Archivo de la Catedral, nº 16. Example of a rudimentary hand. The last two types – semi-calligraphic and semi-rudimentary – are tricky and, in my point of view, can only be distinguished in large corpora and having in mind the cultural context in which each testimony can be placed. For example, the script of a well-trained scribe, but not a master, working in a rural environment – meaning a small monastery or a parochial centre –, can be calligraphic in comparison with that of his nearby colleagues but semi-calligraphic if we compare his hand with the main master calligraphers. This attribution to one or another type as for the degree of perfection in relation to the context, has led some scholars to employ other names for describing the same thing: professional, usual or elemental. © El Escorial, Biblioteca del Monasterio, d.I.2. 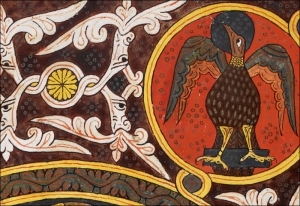 Perfection: Codex Vigilanus seu Albeldensis. 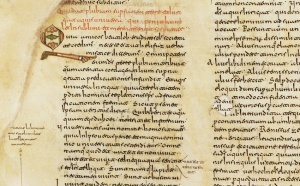 It is not known with certainty when the minuscule variant of Visigothic script can be completely distinguished from the Late Roman scripts as to be called by that name, although it is suggested that it must have been different enough around the early 7th century, if not before. 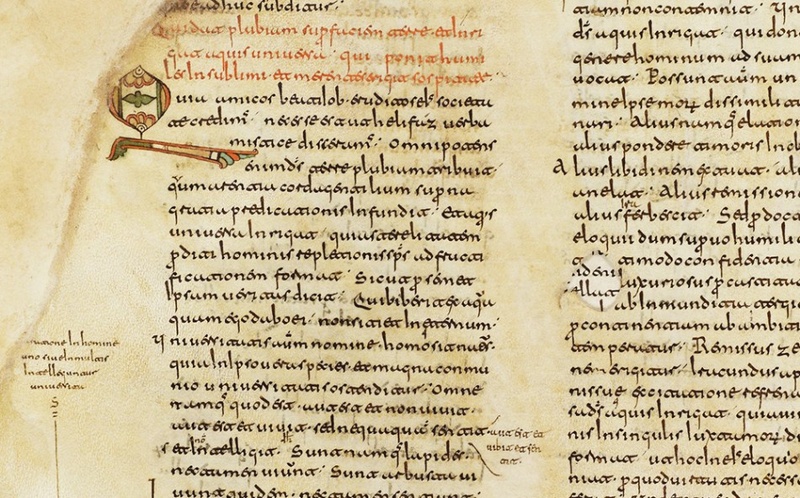 Analysing the testimonies preserved, what is clear is that it reached its perfection from the mid-10th century, with scribes as stellar as Florencio of Valeránica or Vigila of Albelda, to the mid-11th century when its decay started. Thus, in general, before the 10th century the script is irregular and rough, it does not have its standardised and complete set of letter forms and abbreviations yet, while from the 10th onwards it is more regular and, in short, perfect, until the late 11th century when Caroline minuscule started to impose some of its features on Visigothic script scribes. It must be said, albeit briefly, that these stages are not the same for all the regional variants of Visigothic script, but only “valid” for those examples made in the northern Iberian Peninsula – in Septimania and Catalonia Caroline minuscule was already the main writing system in the 9th century, while in southern Spain and Toledo the scribes who used Visigothic script are characterised by being archaic in developing the script. The cursive variant is suggested as being already individualised enough around the 7th century. Its formation phase seems to have been a bit shorter than the minuscule, since in the mid-9th century it can be said to be already canonised. The decay of Visigothic cursive script may have begun in the 11th century too, although for this variant one needs to consider the area (regional variant) to be sure. For each one of the typological variants of the script, i.e. cursive, semi-cursive, minuscule and transitional scripts, a list of graphic characteristics has been established. In order to describe the canonical forms of each variant, examples of sources from the “formed” stage of the script have been analysed and segmented. Comparing each graphic example with these pre-defined or canonized characteristics that the script should show, it can be distinguished between two types of Visigothic: genuine and mixed. A bonus for all of you who have read both posts (types I and II) until the end! How would you classify the script of the following examples now? © Madrid, Archivo Histórico Nacional, Sección Clero, carp. 1325A, nº 20. The hand above is a beautiful example of calligraphic (by its perfection) Visigothic cursive script (by the speed of its strokes), with elongate script (first line). It is formed (dated 1016) and genuine (no external influences). © Ainoa Castro Correa. Lugo, Archivo de la Catedral, nº 41. The hand above, on the other hand, is a messy rudimentary example of Visigothic cursive script. It is also formed (dated 1081) and genuine. I am sure that after reading both posts you could even keep going talking about the scribe and his cultural context. Am I right? Is it possible to tell how many Visigoths were left-handed – Visigoth writers, that is. Great question! Yes, I think it is. I do not have the knowledge to distinguish them but I guess a calligrapher or someone studying writing, in a broader sense, would be able to tell. Can you?